When you need a little boost. 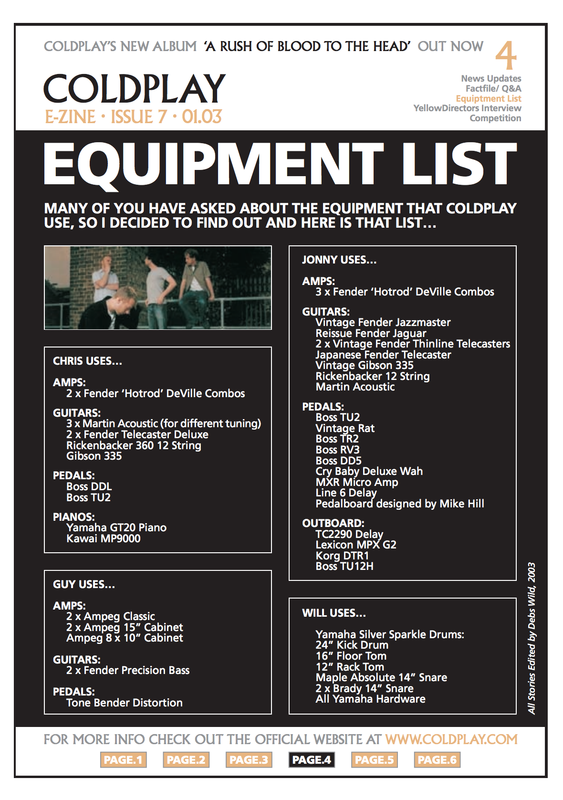 In this equipment list published by Coldplay in an issue of their E-Zine, the MXR Micro Amp is listed under the pedals used by Jonny Buckland. 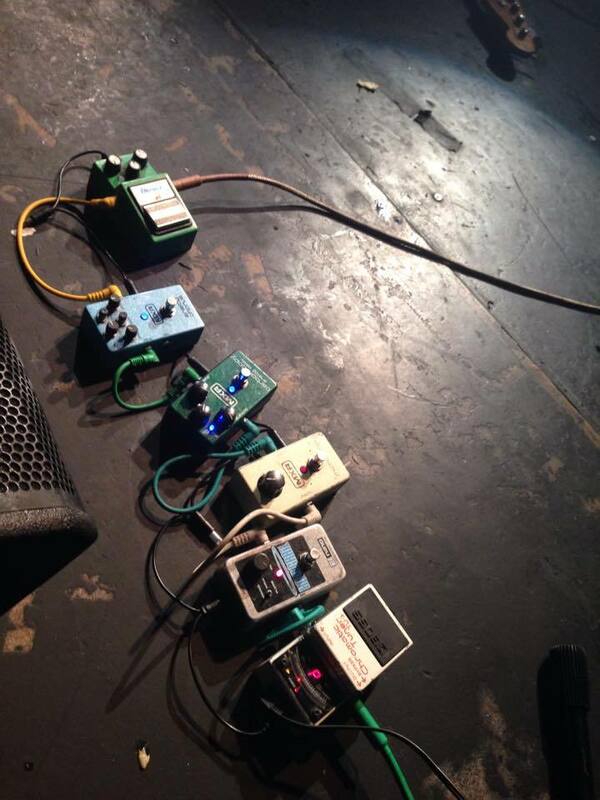 This photo of Arctic Monkeys guitarist/singer Alex Turner's pedalboard shows he uses the MXR M-133 Micro Amp Pedal. The Micro Amp can be seen mounted sideways, below the POG. In this photo of Jack Johnson's acoustic guitar pedalboard (left) and electric guitar pedalboard (right), the MXR M-133 Micro Amp pedal can be seen on both. 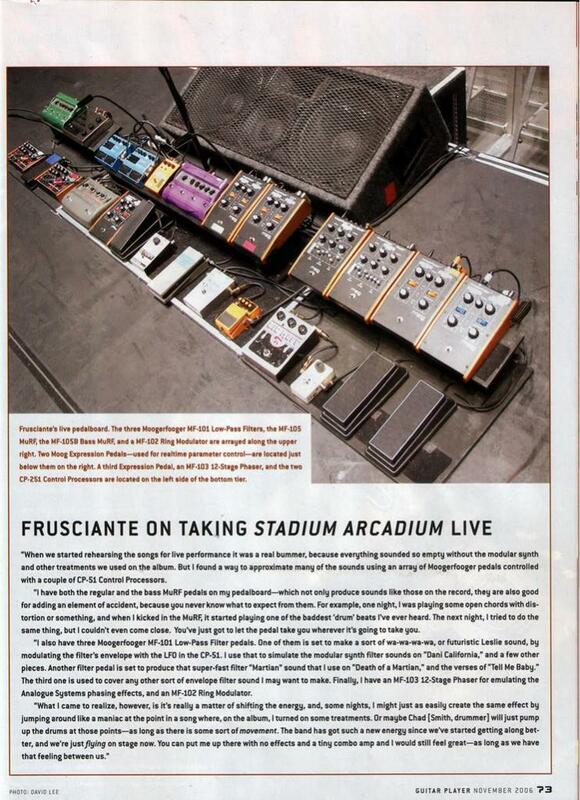 A mainstay on John Frusciante's pedalboard, his MXR M-133 Micro Amp Pedal can be seen in the bottom row of this pedalboard from circa 2006 (Stadium Arcadium era). It is to the right of his Big Muff Pi. The photo is from Guitar Player magazine, November 2006 issue. Photo credit David Lee. 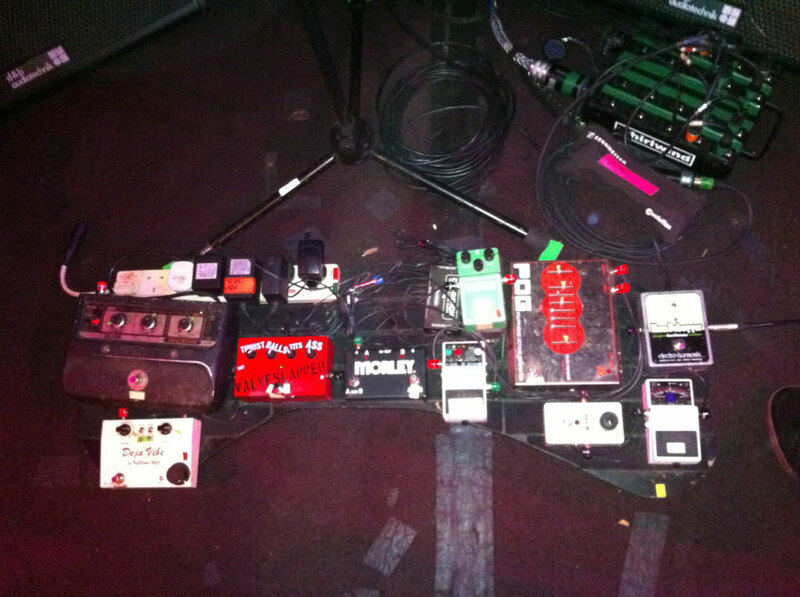 This photo of Jack White's pedalboard shows he uses the MXR M-133 Micro Amp (top right of the board). He has also placed an MXR M-133 Micro Amp *inside* of a couple guitars. From [an interview in GuitarPlayer](http://images.equipboard.com/uploads/source/image/37528/CNT6jdV.png): > "I had a couple of guitars made for [the Raconteurs](http://equipboard.com/band/the-raconteurs). I designed a [Gretsch “Triple Jet”](http://equipboard.com/pros/jack-white/parsons-triple-jet-electric-guitar) by adding a third pickup to a Double Jet, and putting an MXR Micro Amp inside the guitar. You can instantly get an overdriven sound by clicking on that pickup. You can just plug into an amplifier. If it’s time to play a solo and break out a little more, just click that switch on the guitar." "We have an MXR which we use for more verb," says Caleb Followill's guitar tech. Starting at 4:23 into this gear walkthrough video, Matthew Followill's MXR M-133 Micro Amp Pedal can be seen. Kings of Leon guitar tech Nacho Followill says, "this is... just an overdrive MXR, for more boost and gain..."
This photo of Nick Valensi's pedalboard shows he uses the MXR M-133 Micro Amp Pedal (it can be seen in the bottom-left corner). A Micro Amp can be seen on Omar's pedalboard at about 5 minutes into the video. An MXR M-133 Micro Amp Pedal appears in this rig rundown video of Chris Allen. "One of our dirty drives," says Josh Klinghoffer's guitar tech. Visible at 4:18 in the documentary *Reel*. 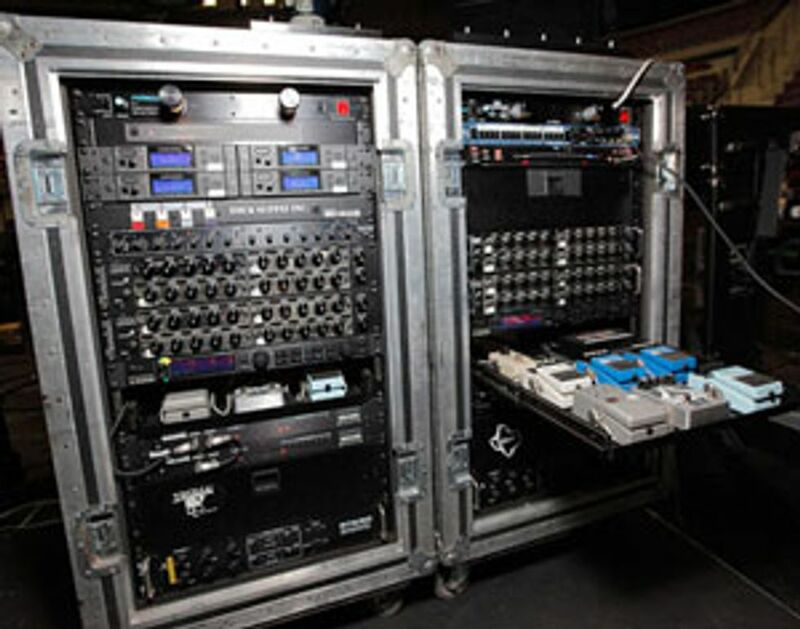 The MXR M-133 Micro Amp Pedal can be seen on the top row of Beck's pedalboard, as seen in this photo from Beck's performance at The Echo in Los Angeles, on Mar 22, 2007. 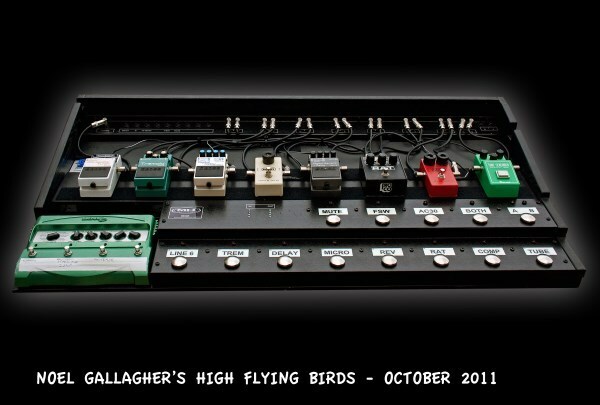 You can clearly see the MXR M-133 Micro Amp in this photo of Noel Gallagher's pedalboard. Flea uses the MXR M-133 Micro Amp Pedal as a clean boost when doing leads, or slapping (it's shown at 5:47 into this video). This image from Albert Hammond, Jr.'s official [Twitter](https://twitter.com/alberthammondjr/status/470396603258261506) shows his "new pedal board setup," which includes his MXR MicroAmp. 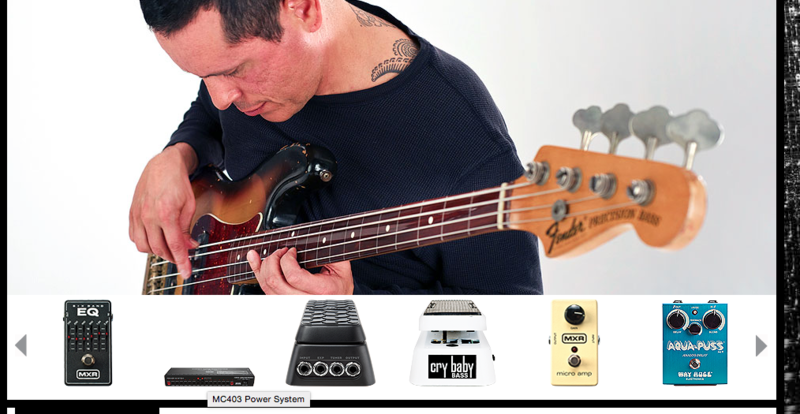 Among the gear listed on Juan Alderete's [page](http://www.jimdunlop.com/artist/juan-alderete) of Dunlop's website is an MXR M-133 Micro Amp Pedal. "MXR Micro Amp. This is the next level of volume up from the Red Compressor. It’s on for most of the gig but it’s not too lairy (because I don’t have it turned up too much, as you can see)." 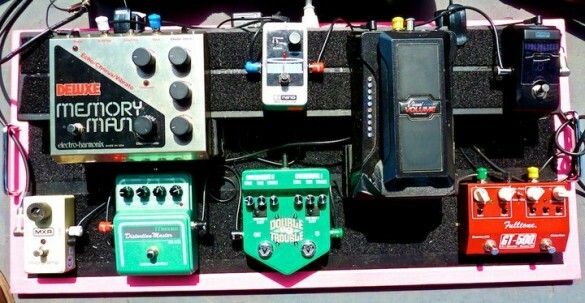 In this photo of Daniel Kessler's pedalboard circa 2005, his MXR M-133 Micro Amp Pedal can be seen. During this interview of Andreas, an MXR Micro amp can be seen in the lower-right corner at 2:15. Dave Matthews' pedal board also has an MXR Micro Amp pedal, seen in this video at (7:22). In this video, the MXR M-133 Micro Amp can be seen in Fredrick Åkesson's rig at (2:45). Is the second pedal starting at the top left of the photo. Smack dab in the middle of Joe's pedalboard is this MXR M-133 Micro Amp Pedal. [Source](http://www.roland.co.uk/blog/wp-content/uploads/2013/04/A85.jpg). In this image of Brynjar's pedalboard taken from the [Strymon website](http://www.strymon.net/tag/brynjar-leifsson/), the Micro Amp by MXR can be seen at the centre of the board. 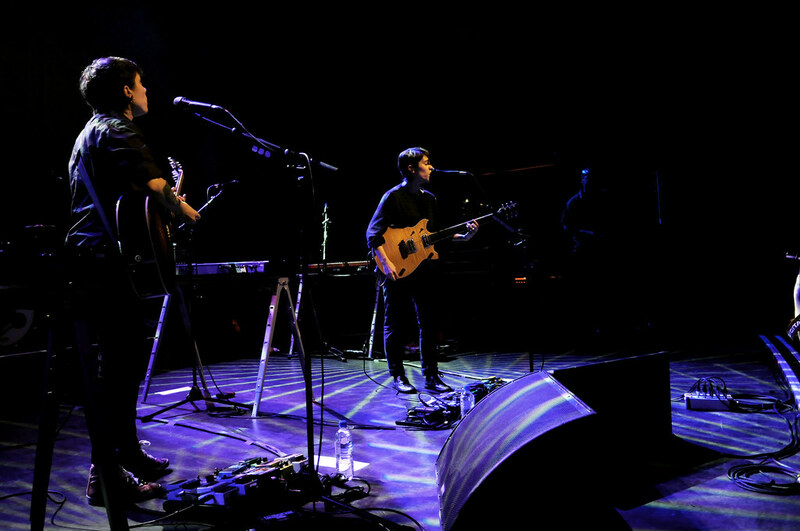 It's mentioned in [this article](http://www.mixonline.com/news/tours/all-access-tegan-and-sara/368190) that Tegan uses a MXR Micro Amp. Carl can be seen using an MXR M-133 in this photo, posted to [Facebook](https://www.facebook.com/carlbarat/), with his latest project, The Jackals. 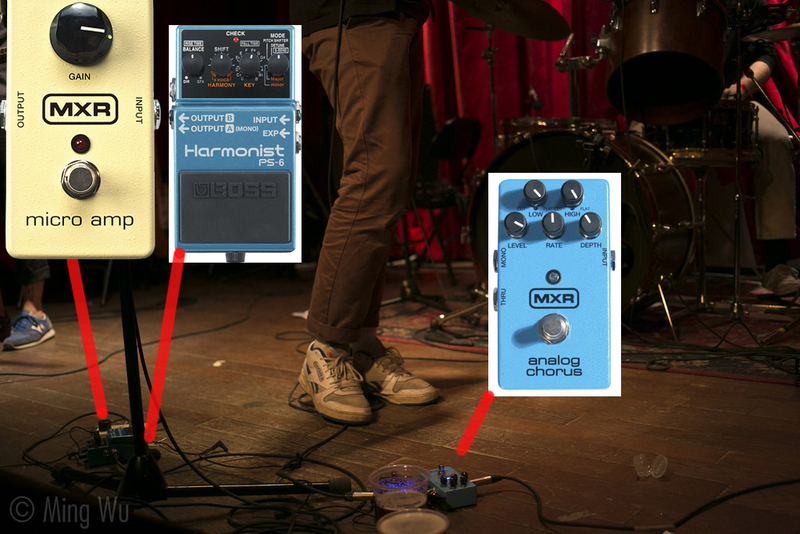 According to gear section on Fratellis' website, Fratelli used the MXR Micro Amp pedal back in 2008. An MXR M-133 Micro Amp pedal can be seen on Sune Rose Wagner's pedalboard in this Facebook post, by TC Electronic. Adam Jones' MXR M-133 pedal can be seen at 1:42 in this video. This photo from a Premier Guitar [article](http://www.premierguitar.com/articles/19620-rig-rundown---russian-circles-mike-sullivan-brian-cook) shows Mike Sullivan's pedal board, which includes a MXR M-133 Micro Amp pedal. "I've been using the TS-9/Voodoo combo with my three single coil strat, and using the MXR micro for the clean sound…"
According the Jim Dunlop Website, Phil uses an MXR M-133 Micro Amp. In this Facebook post by Jim Dunlop Products shows a photo of Bill Steer with his pedalboard. "Jay Gonzalez’s board starts with a TC Electronic PolyTune tuner. From there, the signal runs into his MXR Micro Amp, a DOD FX52 Classic Fuzz—modded by Steve Hunter—and a Xotic EP Booster." - excerpt from Premier Guitar interview. In this photo, which shows Farrar performing at the KEXP with Son Volt, one of the pedals that can be seen on the floor is the MXR Micro Amp. In this 2015 photo of Coombes performing in Cardiff, there is MXR Micro Amp in his pedalboard. 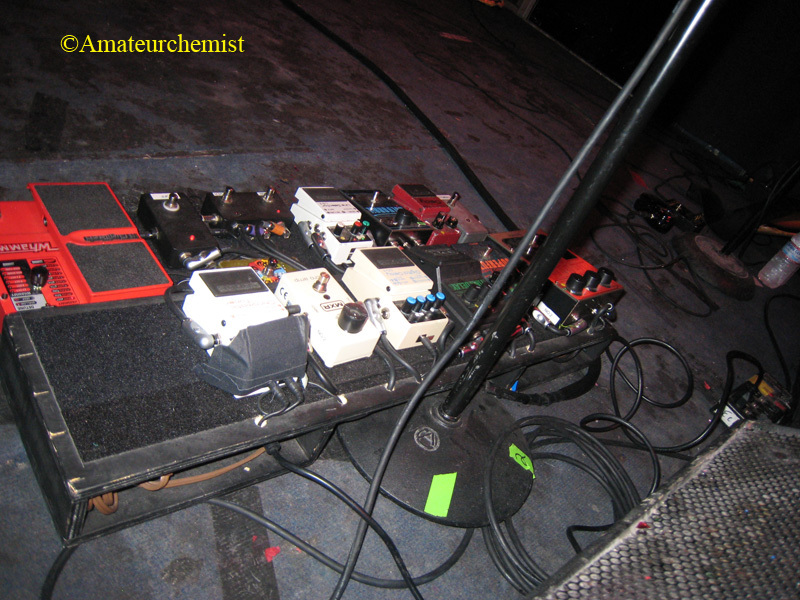 In this shot of John's pedalboard from 2007, you can see that he is using an MXR M-133 Micro Amp. At 4:52 minute mark, Bunford's pedalboard is partially shown, and one of the pedals visible is the MXR Micro Amp. "A pair of pedalboards with a few essential stomps helps Carrabba balance his acoustic and electric duties. His electric board holds a TC Electronic PolyTune 2 Noir, MXR Micro Amp, and a coveted sliver Klon Centaur. A Whirlwind Selector A/B box splits the signals and a Voodoo Lab Pedal Power 2+ provides the juice," reads [this](http://www.premierguitar.com/articles/22686-rig-rundown-dashboard-confessionals-chris-carrabba0 Premier Guitar rig rundown. "Here's another shot of Dallas' board. From the top right to left: Boss NS2, EHX holy Grail, telenordia TA100, Keeley Katana, MXR Micro AMp. Bottom Row: Boss TU2, Boss RV5 Reverb, MXR Carbon Copy, line 6 DL4"
In this pedalboard photo from Bridges, the MXR Micro Amp is visible. According to this photo, his pedalboard has MXR Micro Amp. Grant uses a Micro Amp pedal in his Feeder era rig. According to Guitar Geek's rig diagram, Valenzuela uses MXR M-133 Micro Amp. Steve uses an MXR micro amp on the live studio sessions at KEXP Radio. To the left of the MultiDrive is a beat up Micro Amp by MXR. 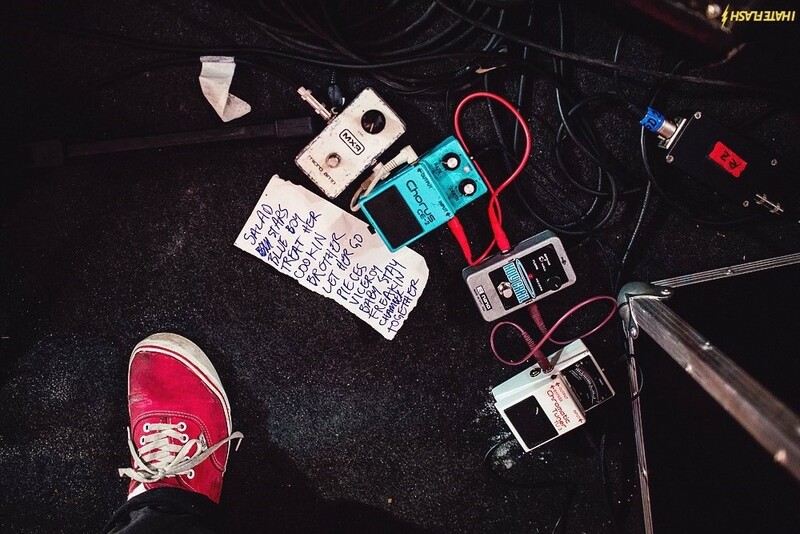 The MXR M-133 can be seen in this photo of Mac DeMarco's setup at a show in Rio de Janero. 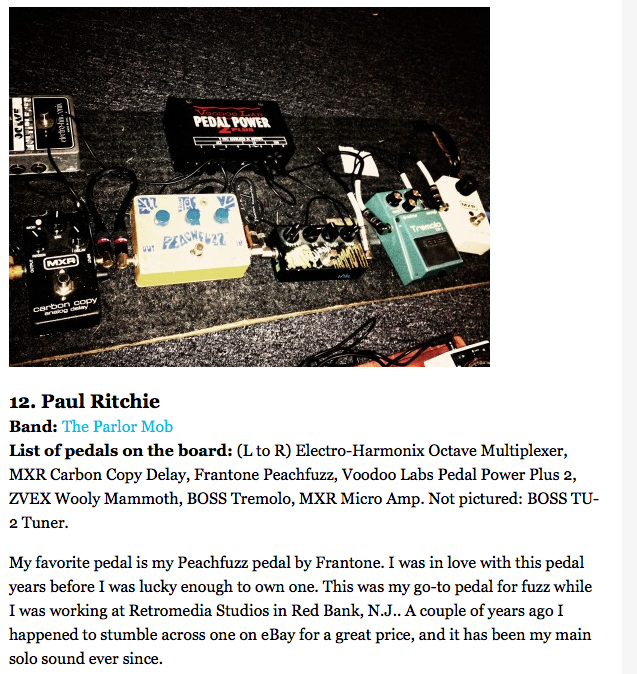 Paul Ritchie uses a MXR M-133 Micro Amp pedal, according to [this](http://www.pastemagazine.com/blogs/lists/2012/05/14-guitarists-talk-about-their-pedal-boards.html?a=1) Paste magazine article. In Shara Worden's instagram photo, you can see an MXR M-133 pedal on the left side of the pedal board. "Got it on my KOL rig! It's sounding so good!" http://www.premierguitar.com/ext/resources/images/content/2015_09/Rig-Rundowns/Social-Distortion/Jonny-FX-WEB.jpg Hands-down the pedal freak of the band, Wickersham travels heavy with three stompboxes—a Boss TU-2 Tuner, an MXR Micro Amp that he utilizes as a clean boost to push the amp a bit more while still retaining the guitar’s natural tonal characteristics, and a J. Rockett Audio Designs Archer that he uses as a fairly-transparent dirt box that fills his tone out and adds harmonic richness. Although this photo is from 2016, Chris Creswell can be seen using the MXR Micro Amp for the past couple year. It is clearly visible in most videos. Creswell uses this pedal to cut through the band when playing high leads. Jonny talks about his Pedals in this video. Clean Boost for all the lead/Melody parts. 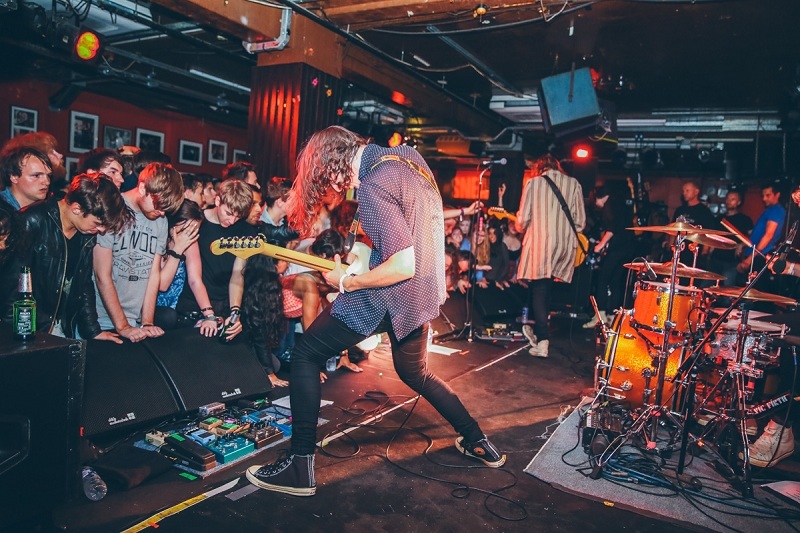 In this photo of Homeshake playing live, an MXR Micro Amp is pointed out at Pete's feet. MXR M-133 Micro Amp Pedal it was spotted on Hans old pedal board rig setup. YOU CAN SEE THE MICRO AMP NEXT TO THE TU-3 ON THE FLOOR INFRONT OF BONDY. 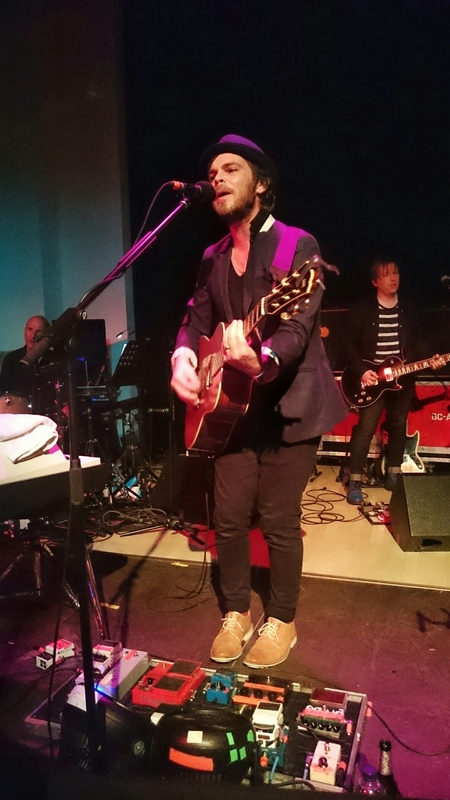 In this photo Daniel Christiansen pedals, it can be seen that he uses a MXR M-133 Micro Amp Pedal. 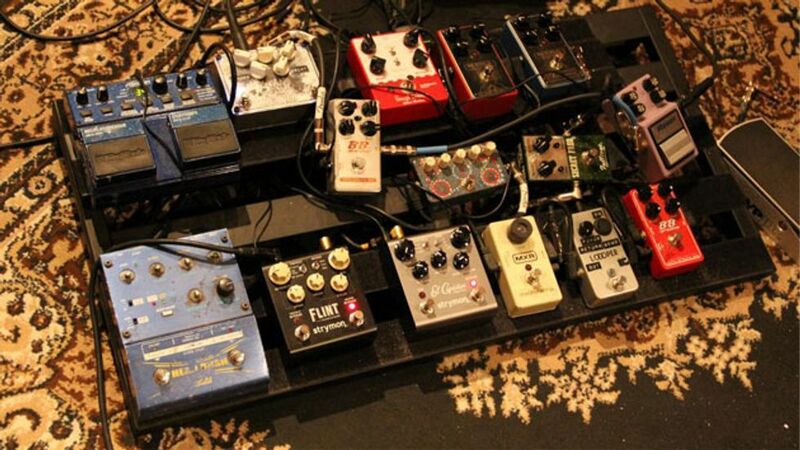 "Pedals he uses/used include MXR Micro Amp"
Can be seen on the floor by Doug. From [2009 Guitarsite interview](http://www.guitarsite.com/news/features/interview_with_colin_macdonald_and_john-angus_macdonald_from_the_trews/): "Pedal Board. Fulltone wha pedal, **MXR micro-amp**, Boss octave divider, Line 6 DL4 Delay Modeler, Roto-vibe Leslie simulator/chorus pedal, Whammy pedal and Boss Tuner pedal." "The Micro Amp works like a volume boost for soloing and pushing the front end of the amp harder." 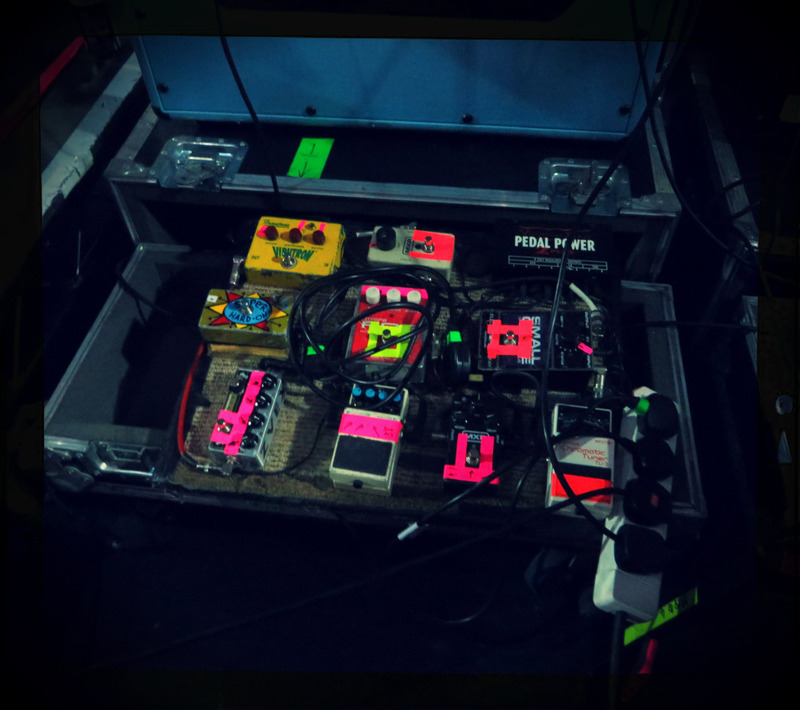 Miranda posted a photo of her pedal board onto her Tumblr account. Taylor talks about this pedal at 6:56 into the video. Jake talks about this pedal at 5:28 into the video. On his website Dave Kilminster lists this item as part of his 2008 gear. In the bottom left he is seen using an MXR Micro Amp pedal. 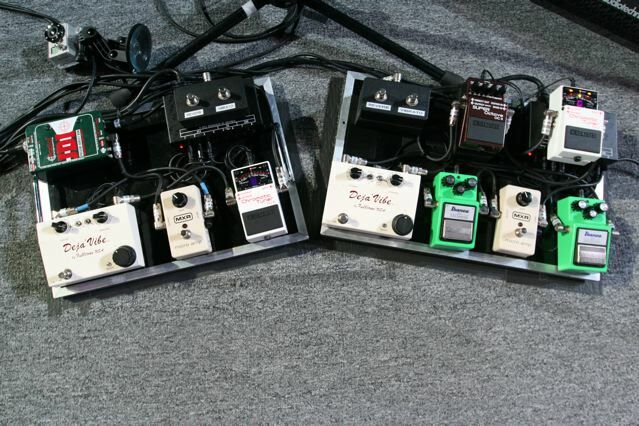 At 3:21 in a shot of Mejia's Pedalboard we see the boost pedal in his live rig. around 0:40, an mxr microamp pedal can be seen on the pedalboard at cory's feet in the upper right hand corner, recognized by the single knob and white enclosure. "Also, I’ve got some Divided By 13 pedals, a Demeter Compulator, a Boss VB-2 Vibrato, Line 6 DL4 Delay and MM4 Modulation pedals, and an MXR Micro Amp. I also have a couple of random fuzzes that I’ll change out here and there, depending on my mood. It’s a very straight-ahead scene." In this photo taken in 2014, his pedalboard is seen, which shows the MXR Micro Amp. In this vid in 0:15 can see Molly's pedalboard. At 2:16 you can catch a brief look at the pedalboard in the front which belongs to Dominic and the micro amp is on it among other pedals. In Pedals Fusion's 2015 interview with Atsuko Chiba, Karim showed off his pedalboard, which included a MXR M-133 Micro Amp Pedal. On this instagram picture, you can see the Micro Amp. Visible in this video at 3:58. It's worth noting that the Micro Amp is mainly useful in the context of playing live, specifically with a tube amplifier. It's not likely to add much to your solo practice or writing sessions (although if you practice or write at a fairly loud volume, you may find that stomping on this guy when you arrive at a song's solo section fattens your sound a lot, which can be very inspiring) and when used in conjunction with a solid state or hybrid amp, you're unlikely to really be able to take advantage of the M-133's ability to add searing gain to an already-saturated amp sound. Therefore, please bear in mind that "live performance" is the perspective from which the rest of this review is written, as I have never bothered to use this pedal in a recording context--since two different guitar signals recorded on different tracks can be blended to taste during mixdown, with levels raised or lowered accordingly. MXR/Dunlop initially marketed the Micro Amp as a mere volume boost, and it definitely does a great job as such. As mentioned earlier, activating on the pedal as you play introduces a boost that is as subtle or extreme as you want it to be; as an added bonus, I can attest that I've never noticed any coloration to my guitar tone when using the M-133. Other boost pedals often introduce a midrange "hump" that I, personally, usually don't mind. But it's nice to know I can use the MXR unit to get more of my sound, unadulterated. A secondary function, per the manufacturer, is to slam the front end of a tube amplifier with extra volume to create even more saturated gain sounds than an amp is capable of producing on its own. Again, the M-133 Micro Amp excels at this, too. You left out the studio. If, like me, you often like to play solos on a vintage spec strat or tele into a an old-school tube amp with moderate amounts of preamp gain, a clean boost like this is an invaluable tool while recording. I used to be a dyed in the wool TS9 man (and later an 80s SD1 guy), often using them as a colored, dirty boost for solos with fender guitars (like everyone and their mother likes to), but in the 90s I got turned on to clean boosts, treble boosts and even the venerable MXR Dynacomp as ways to add gain and 'cut' (these pedals generally turn your hi-z guitar signal into a fairly low-z affair that drives the cable a lot easier which will add/preserve treble just like a buffer) for a solo sound without sacrificing the bandwidth and signature voice of my guitar. I do this more in the studio than live, believe it or not. Live I tend to dime an AC30 and control everything with my guitar volume knob. Maybe I'll run an always-on boost or buffer if I need a line-driver on a big stage. As far as MXR's claim that this is an easy output matching fix for guys who go between fender and Gibson? The very different frequency responses on bolts with single versus gibbies with buckers means the perceived level may never really match up, but if you're just trying to get them to tickle V1 in your amp similarly it may help. Personally I switch guitars as much for a change in output as I do for a change in feel. I have less need for multiple amps or channel switchers if I recognize that my wannabe-59 tele is not a hard rocker and I save that guitar for ballads and such where a clean, chimey tone and a little less volume at 10 is quite alright... by the same token I have to recognize my 335 mostly wants to rock, but the A2 pickups are soft in tone, low output for humbuckers and sit back in the mix as a rhythm instrument, so I should use her that way live... Then there's my SG. Not a tone of output on paper, but DCR is not the be-all-end-all of output and out-front-ness, because that guitar wants to rock hard and stand out with the vocal as something the audience (when there is one) wants, no.... NEEDS to listen to. And that's just my 3 favorite guitars, they all have a voice and a use which is why MXR's whole marketing conception seems to defeat the point of switching guitars live... or switching at all. Out put and frequency response are 50% of my motivation. a variety of outputs isn't a problem to solve, its a palette of colors to paint with and your tube amp's the brush. That said, the M-133 is a pretty flat sounding transistorized boost pedal, though it doesn't have the tubey sparkle of a ZVex SHO or any other jfet or mosfet based booster. Wow. I wish I could add your thoughts to my review as a third-party opinion. That's super valuable input! I haven't really used mine in a studio setting--seemed a little redundant to me, in my admittedly limited experience--so that's very useful information. Thanks for adding those thoughts. I hope anyone who reads my review will also consider your experience as well. Best clean boost I've found so far! If you need a clean boost for solos, this is the one to buy! Unless you feel the need to have some tone sculpting as well to make your leads cut a little more and want to buy the Micro Amp+, this is perfect! Having the single, big dial makes for easy on-stage adjustments if you find it's not quite the right volume in the moment. As with all MXR pedals, very sturdy and reliable. Had you tried TC Electronic's Spark Booster or the mini one? Very clean boost that doesn't colour the tone of my sound at all. Very useful for pushing through the band when volume is maxed out on my guitar and I need that little bit more volume. Allows to boost sound when needed. Also can be used as slight distortion. Smooth, warm, and easy to use. Very helpful to give a punch in the mix to the guitar. Also if you're playing a solo it gives you a little bit of volume without adding gain, in case you put it after the gain pedals. If you put it before, this pedal makes you raise the gain of the pedal in the level you need. Also, it gonna makes you gain a lot of bit of punch in a tube amp. Simply a really great boost pedal. Use this for solo boosts through the effects loop of my Marshall. Works a treat and can take the volume through the roof if need be! Lo uso para elevar la señal (clean) y funciona perfecto. Levanta muchísimo volumen y, hasta donde yo lo uso (mitad) no ensucia el sonido. My bass is very quiet, but I love it. So I slapped this one on my board, and I got more of my bass, and I love it. the micro amp is the classic op-amp booster... it ahs a sound we all know... its not quite transparent, it imparts that little bit of the 70s and 70s to your tone when you want that. Can double as a passable buffer/line driver with the gain way down. Its an alright pedal, but not worth the money, gives the sound a little boost but wouldn't recommend it. The only thing it's supposed to do is a boost. What's wrong with it? I got this pedal inspired by the equipboard of Caleb Followill from Kings of Leon, but also this site recommends this pedal. After testing the MXR Micro Amp with my pedalboard, I found that this pedal brings a little shine to the tone, so your sound will have a proper clarity. After the 12 o'clock, the MXR Micro Amp begins to bring overdrive from the amp, as the volume climbs up. At full range, you obtain a tough overdrive. The dynamics in this pedal are awesome, it improves my playing a lot. I should talk more about this pedal, which I feel it is glorious to me. It improves the frequencies from the amp, so the clarity obtained let you to low the volumen knob from your guitar without losing dynamics. This is great! I think the sound of this pedal is great. For the price, I think the TC Electronics mini Spark is quite as good and a lot cheaper. Eventhough this is a classic and I really dig the sound and feel. It is located in the 1st rack and is controlled with the Ground Control. Clean boost for all solos. Great pedal for a huge boost to your guitar or bass tone. I use this when I want volume plus a boost to distortion without a full-on distortion pedal. Love this thing. I use the Micro Amp with my Fender Hot Rod. It makes the amp get that more crunchy overdrive sound. Once the gain is over 1/2 the volume increases a lot. Decent and very good boost! This good, pretty clean boost pedal gets it done. MXR M-133 Micro Amp Pedal video review from youtube.